The year 2017 is now coming to an end. For some of us it may be a time to close an unhappy chapter of our lives and wish on the stroke of midnight that the year about to start is going to meet our hopes and aspirations. For others it may be a time to be thankful for the good fortune we have been blessed with, grateful for the love and support we have received from those around us. As we take time to reflect, melancholy can creep up behind us, making us think of times gone by, sadly thinking of those friends and relatives who have left our lives, for good, or have moved many miles away. Leaving a great void behind. However, I hope that the memories of the joyous times spent with them will outweigh the loss felt and I hope what ever your midnight wish is, you all have a perfect year. "Jemma follow me. I will take you to safety," says a woman. I'm unable to see her because of the strong light that is now shining in my face. Thank goodness, I feel relieved that a rescue party has arrived. I can hear the voice of the woman clearly persuading me to follow her. I shakily get to my feet and I clamber into the aisle. I hesitate, I've remembered that my carryall is on the seat to the inside of me. I reach in and I brush my hand across the sticky, velvety pile of the upholstery. But the bag is no longer there, it must have fallen onto the floor. How on earth am I going to find it in this darkness? I sigh, there is no point in me fumbling around to try to locate it. Mom and I didn't say much over breakfast, but we never did anyway. She thought I was heading for school as usual. But of course, I wasn't. To run away from home I knew I was going to need some money. 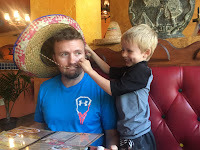 Luckily for me, my dad had given me some money on his last visit and if I watched what I was doing, I would be able to get by on that until I got a job. One of my school friends had left home, she had gotten a job as a waitress, and that's exactly what I was going to do. I would be working long hours, but Emily, she’s my friend, said that the tips were great. A transient shadow makes her stop what she’s doing. She lifts up the net curtain, to take a second look out of the window. She can’t see anything incongruous and she drops the window covering back into place. Only the crickets chirp a reply. She laughs raucously and turns to go back inside. Bang, the clatter of a garbage can comes from the side of the house. She moves towards the location of the noise gingerly. “Grrr, grrr, grrr.” A male black bear appears from around the corner, causing JoJo to jump back in surprise. The bear stands upright on its long hind legs and begins to walk towards JoJo. Its broad skull and large jaws seem disproportionate to its three and a half foot stature. The curved claws of its leathery soled forepaws gouge at the air, forcing JoJo to backtrack her steps speedily. razor-sharp claws dig deep into her flesh. She frees herself from his clutches, she has only partially changed into her demon state. The bear aims a blow at JoJo’s twisting serpent like head. His sharp nails meet with their objective once again. This time tearing at the scaly skin on top of her head. The demon is using up all her energy to fight for her existence, meaning that her full metamorphosis is being delayed. The black bear has the upper hand and JoJo’s powers are all but depleted. She has nowhere to go and nowhere to hide. She can only hope that her master can forgive her for her weakness. 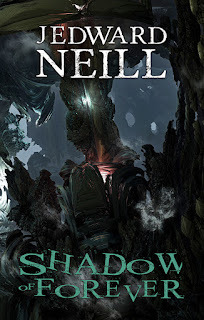 Today it's an honor to introduce you to the gifted J Edward Neill in my, Author Spotlight, post. Jeremy is a US based indie author of fiction, sci-fi, philosophy and has published short stories for Kindle's galaxy-wide. If that's not enough to be going on with, he is also a talented painter, bringing canvas alive with his imagination and use of color. He has been writing for the last sixteen years and has an extensive catalogue of titles to his name including a series of dark fiction of which he is the co-author. His first book Down the Dark Path was published in 2013 and he has agreed to giving us a look into his world. What came first, the writing, or the painting? Definitely the painting. As a much younger man, I attended art school, which admittedly I enjoyed far more than any other classes. After graduation, I started a t-shirt business and painted huge banners for local music acts. My crowning achievement: a banner I created for the heavy metal band, Slayer. Nowadays, hardly a night goes by without painting being involved in my life. It’s just so very relaxing. What made you decide to write solely for the adult market? Have you faced any particular challenges writing multi-genre? Yes. And I embrace them all. I recently jumped straight out of a sci-fi series and into a pair of philosophical memoirs. I think I threw my audience a curveball with the leap from ‘star-destroying space vampires’ to ‘an author drinks wine and writes about his childhood.’ And that’s OK. Bouncing from genre to genre has proven to be more fun than I’d ever hoped. I encourage everyone to try it. Just be careful not alienate your readers. What age group would you say your work is likely to appeal to? My fantasy, sci-fi, and horror books will likely appeal to the 18-35 crowd. These works contain enough action, character development, and plot twists to engage readers looking for a straightforward good time. For older readers, I recommend my Coffee Table Philosophy series. Questions about science, philosophy, and morality tend to appeal to those of us already drowning in fiction books. How do you decide on your titles? I hear plenty of authors talk about the challenges of deciding on book titles (and blurbs.) As for me, I enjoy the process. I usually design the title and blurb long before getting into the meat of writing the book. I try to nail down the central themes of whatever I’m working on, and then I make a list of potential titles. 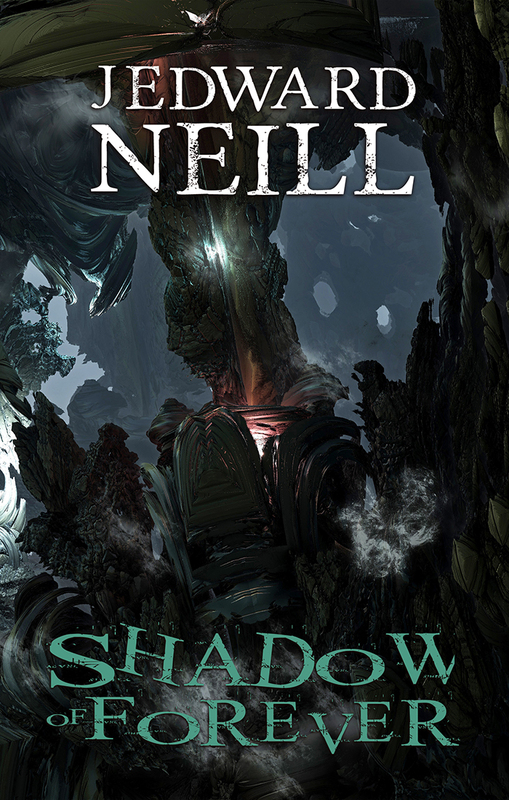 For my latest sci-fi book, Shadow Forever, I allowed my readers to decide the name. It was fun to hear their feedback! 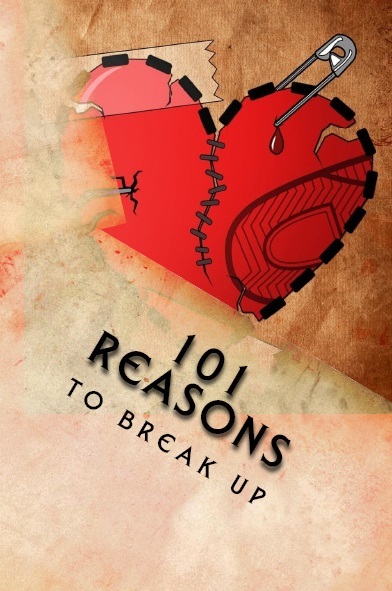 101 Reasons to Breakup, was the last title to be released in your series of coffee table philosophy books. This was book number thirteen, will you be adding another title? Or, do you have a new WIP that you want to share with us? I'll definitely keep adding to the Coffee Table series. 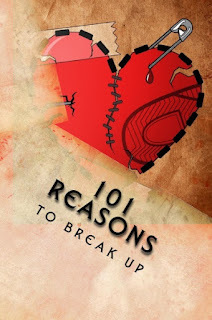 101 Reasons to Break Up has been a big success (selling to book stores in England, of all places) and so I’ll likely pen a Part 2 before 2017 ends. I’ll need more stories to do it…since all the break ups are real. 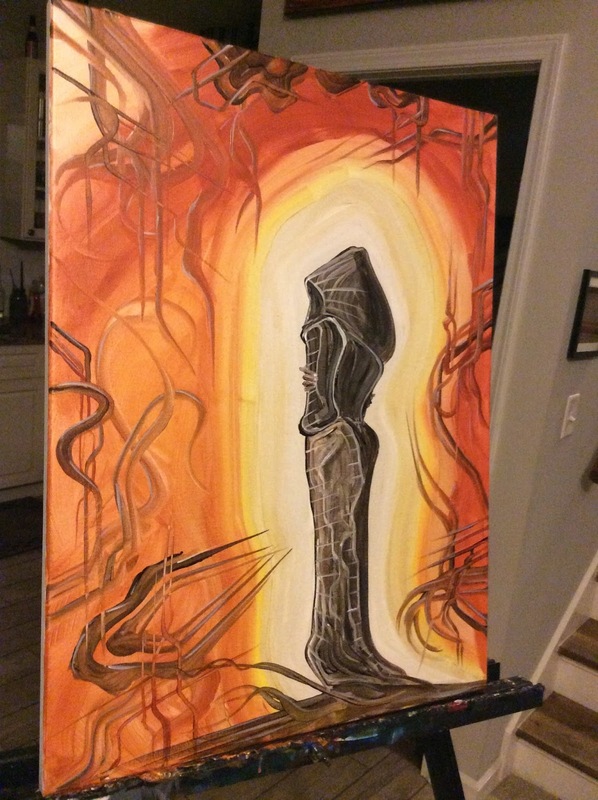 As for my current WIP, I'm about 30% finished with, Eaters of the Light. It'll be the last book in my big sci-fi series. I'm having a riot working on it. Most authors have favorite characters, can you introduce us to one of yours? My first is Mia from the short story, Let the Bodies. She’s just a little kid living in a dangerous city, but her bravery is unique. Some of my readers might not realize it, but she makes a cameo in another book, The Circle Macabre. Poor little Mia. She doesn’t know how doomed she is. My second is Archmyr from the, Tyrants of the Dead series. He’s about as bad as an antagonist can be, and yet he’s still very human. He makes the best of a bad situation…and then makes the worst of a perfectly good one. SO fun to write. Jeremy, I'd like to thank you for taking the time to let us into your creative world. But, my readers would never forgive me if I didn't ask you to tell us a little about your journey into the world of writing? Actually, now that I think about it, the desire to tell stories has always been with me. As a little kid, I recall inventing worlds with characters to populate them. I suppose my creative spark was stoked to a flame when my Uncle John presented me with a full set of Dungeons & Dragons books for Christmas (the full story appears here.) At that very moment, I knew I needed to tell stories for the rest of my life. Big stories. Epic stories. Tales of our world and every dimension in-between. And here I am many years later, still at it. I’m not sure I’ll ever be able to stop. 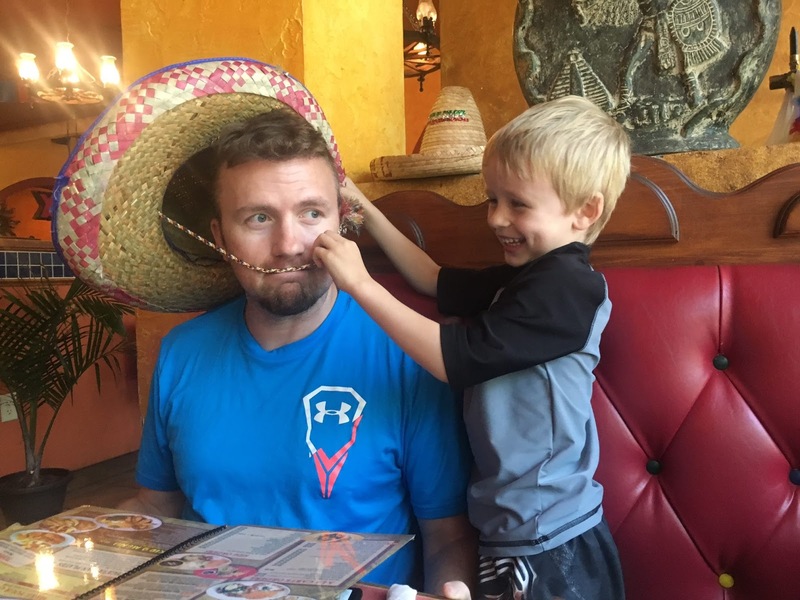 Also, I’m inspired by my son, who made me wear this sombrero!